Serving South Florida Since 1965! A-1 Appliance Service has served the appliance needs of Broward County residents since 1965. Our locally owned and operated business has earned a great reputation for providing quality service at very affordable prices. 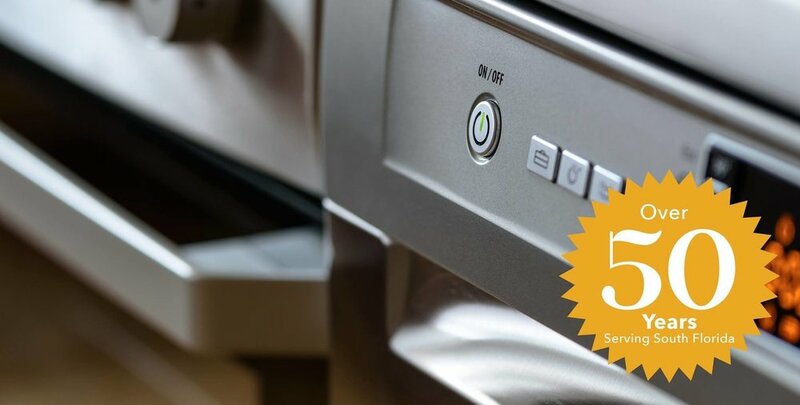 As a local provider of appliance service and parts, we’re able to give our customers a personalized level of service, often not provided by larger companies. For this reason our customers value our service and contact us any time their home appliances need attention. 51 years in the same address, unlike many of our competitors! We have been South Florida's trusted Appliance Repair company since 1965. "Very responsive- able to come out same day. Excellent service from the technician who was willing to share/teach what he was doing in process of ruling out the problems."